The Radiator Booster turbo logic is a simple low energy plug in device which maximises the efficiency of your central heating radiators by sucking up the lost heat from behind your rads and gently circulating it around the room. The new Turbo Logic version launched in April 2015 is even better than the old MK3 model for a number of reasons. 1: The air flow it pushes out is 2.5 times more powerful than the old model helping rooms to heat even faster. 2: New curved style design with a directional airflow grid. 3: It is larger in sizes meaning it can capture more heat. 4: It is quieter when running than the older model. 5: Integrated rubber feet meaning it sits on the radiator more securely. 6: Despite all the improvements the price remains the same. 1: Place the Booster on water filled radiator as close to the back wall as is possible. 2: Never use the device on electric radiators and never in a wet-room or bathroom. 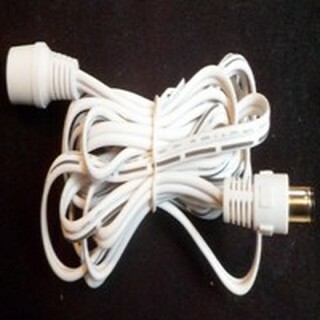 3: Plug the power adapter into the wall socket and connect the Booster lead. 4: Switch on at the wall and the Booster end-light will glow red. This is standby mode. 5: Wait for the radiator to get hot. As hot air rises up into the Booster the fan will start up as soon as 30 degrees Celsius is reached. At this point the light will turn green to show the fan is running. 6: The Booster will continue to operate until the radiator starts to cool down. When the temperature drops below 28 degrees C the fan will stop running and the Booster will go into Lock-Out Mode for 120 seconds. The fan will not be running at this point and the light will now flash green. 7: After the Lock-Out period is complete the Booster will either return to Stand-By condition with the light glowing RED (radiator is now cool) or it will start the fan once more with the light glowing Green (radiator is still hot). 8: Please note the radiator must get hot in order for the device to work. If you can keep your hand on top of the radiator for at least 60 seconds this indicates the radiator is not heating up properly. If this is the case you should consult a heating engineer. 9: In rare cases you may find plastic housing of the Radiator Booster makes a slight vibration noise against the radiator. Inside the box of the Booster you will find some “vibration-absorption” pads which can be attached to the Booster where it touches the radiator. These should reduce the noise. 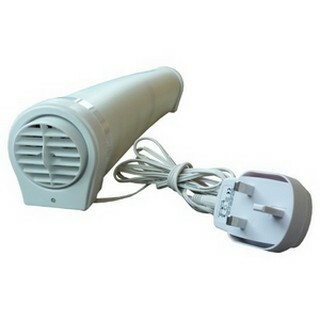 10: During normal operation you may hear a slight fan noise – similar to that of a computer fan. This is completely normal. It is usually only just audible in a quiet room. How Much Energy Does the Radiator Booster Use? The Fan Running time on the Radiator Booster is around 300 to 500 hours per year on average. The fan is rated at just 1.2 Watts. Allowing for the switched-mode power supply losses and the fan use gives a maximum annual power use of about 2KW/h Therefore (based on current Irish electricity tariffs) the Radiator Booster should cost you about 34 cent per annum to run. What Did Which Magazine Say About the Radiator Booster? Thermostat Activation Point: 32 degrees Celcius Approx (water temperature in rads). How do Purchase.ie Customers rate the Radiator Booster?